Tilt-shift photography is a fascinating photographic technique, which creates the illusion of turning reality into a miniature model . Besides photography this technique is becoming more and more popular in video editing, below we present 10 beautiful examples of videos tilt-shift. Tilt-shift photography è una tecnica fotografica molto affascinante, che crea l’illusione di trasformare la realtà in un modello in miniatura. Oltre che a livello fotografico sta prendendo campo anceh nell’abito video, di seguito vi presentiamo 10 splendidi esempi di video tilt-shift. GUNDAM: Tilt-Shift from RYO on Vimeo. Mardi Gras from Keith Loutit on Vimeo. miniature city 2 – featuring vividblaze – from mockmoon on Vimeo. 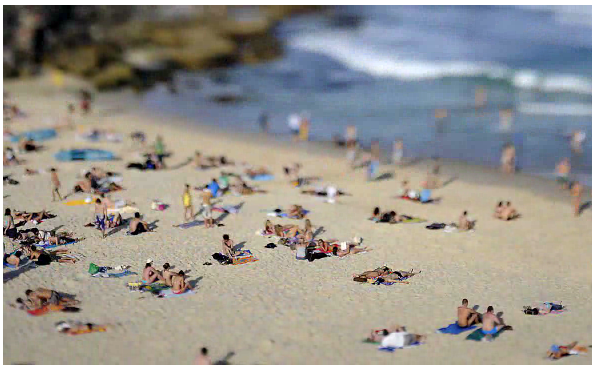 have you seen this tilt shift stop motion animation? Another great tilt shift video… heavy equipment toys! I just want to say I am just beginner to blogs and seriously liked this web page. Probably I’m likely to bookmark your blog . You certainly have superb stories. Appreciate it for revealing your web page. Exactly how do you erase your blog comment that you left on somebody else blog?